A countrywide penalty competition is being held in aid of Ireland's Homeless World Cup Football team. 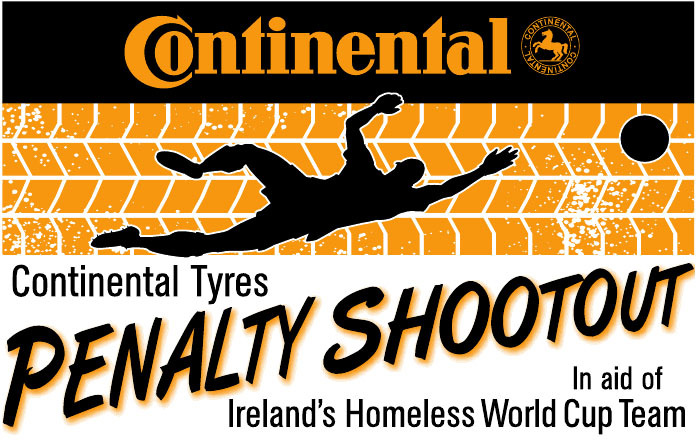 The penalty shoot out competition, sponsored by Continental Tyres, is being held in venues right across Ireland on Good Friday, 22nd April 2011, with the final on bank holiday Monday 2nd May 2011. The winning team will win six tickets for this year's Europa Cup Final at the Aviva Stadium with overnight accommodation in Dublin. Regional winners will also win a €1,000 Umbro voucher. Teams will consist of a goalkeeper and five players and the entry fee is just €100. All proceeds raised will go to the Irish Homeless Football Team.